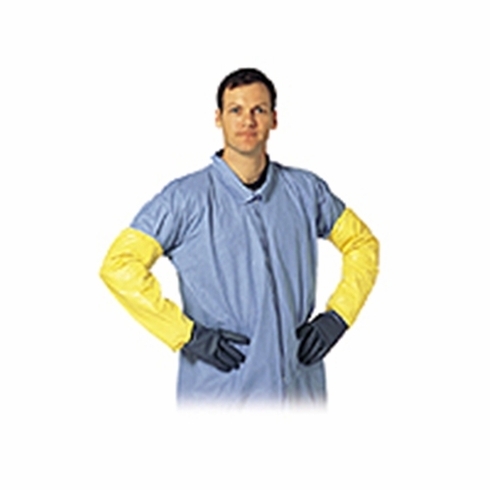 Tychem QC polyethylene-coated garments provide excellent lightweight splash protection from many inorganic acids and other liquid chemicals. Tychem QC is a combination of Tyvek fabric and a 1.25 mils coating of polyethylene. It offers an economical choice for use in many industrial plants and chemical cleanups. Serged - A seam produced when three thread are interlocked around the raw edges of two pieces of material for a strong, stress-resistant seam.